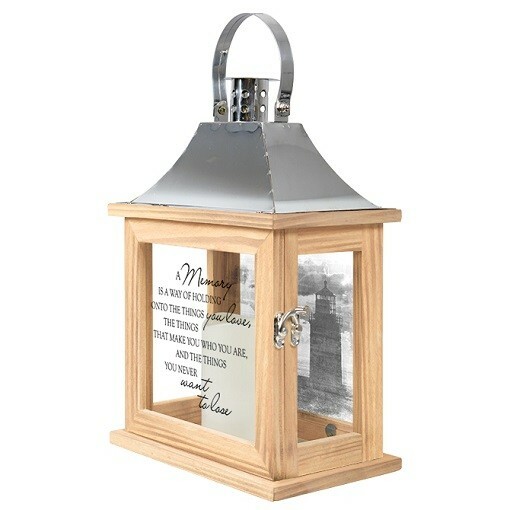 A Memory Lantern | Aebersold Florist - Dial 812-945-2544 :: Lanterns - An elegant keepsake, expertly crafted. Lanterns - An elegant keepsake, expertly crafted. 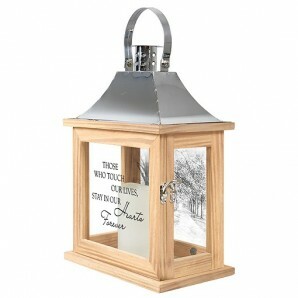 Elegant classic garden style lantern with LED candle. Hang it up or sit on a table. Add beautiful fresh flowers, silk or plants to accent this lovely gift. 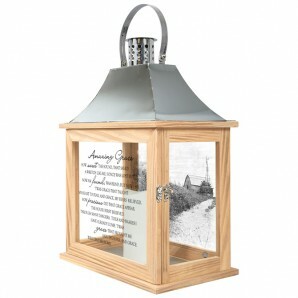 Our Light The Way Memorial Lanterns are made from quality composite wood and a stainless steel finish top. They feature a built-in automatic timer which runs for 6 hours on and 18 hours off (3-AAA batteries included) and are inscribed with sentimental quotes. DO NOT use fire burning candles in the lanterns. Suitable for hanging or free-standing use inside or outside. Recommended as an accent in floral arrangements for many occasions! Meant for indoor use. Measurements: W: 8.625" H: 12.5" D: 5.125"
"A Memory is a way of holding onto the things you love, the things that make you who you are, and the things you never want to lose."